The World of Ferns . 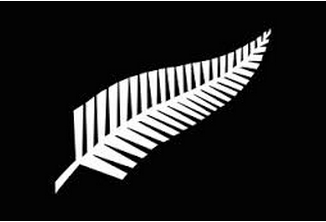 Why is the silver fern silver? The silver fern is silver because it once lived in in the sea then it asked to live in the forest to play the significant role to guide the Maori people. Why is it a symbol for New Zealanders? It is a symbol for New Zealanders that coincided a bage of honor by the people,products and service of our country that carry it. This is what I have been doing for reading. 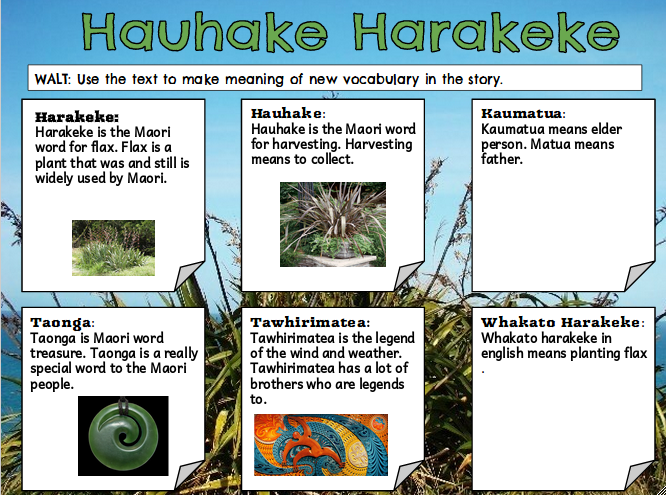 This is what I have been learning during reading! WALT: Share our understanding of the text as it is read (comprehension). 1. How do you know that Mrs Ramsbottom regretted the kids bringing torches last year? Because they were flashing the lights and they were having lolies and midnight feasts . 2. How come Fred didn’t groan? Because he was blind and it was night time anyway. 3. How did the boys feel about Fred? How do you know? They weren’t quite sure how Fred would fit in . Because they said it in the book. 4. What kind of personality do you think James Cowan has? What kind of kid is he? He is naughty and cheeky. 5. Why did the boys make Fred sleep on the bottom bunk? Because if he fell off they didn't want the responsibility of having him fall of the top bunk in the middle if the night. 6. What kind of jobs do you think the kids had to do? You had to get into your groups and you had to tag three people from each team. Do you want to know what I did last week? Last week the year five and six students went to camp. We had our year five and six camp on our school field,we were really lucky to have a camp at school,it was such a cool experience. On Wednesday the All Stars went down to Pt England Beach to Kayak. Before we got into the Kayak we had to put on life vests. When we got in the Kayak we had to get in by using the strategy of foot bum foot. Kayaking was so much fun. When I went into the kayak I was a bit scared, but I got used to it I paddled and paddled for a long time. After kayaking we went for a little swim. Kayaking was so much fun. The other thing I liked at camp was sleeping in a tent. Sleeping in a tent was so much fun. In my tent I had Yvonne and Rima. We had a secret stash of biscuits that we weren’t supposed to bring,we had to silently open the packet so we could gobble it all up. Luckily no one caught us eating .During the night we were laughing and coughing. I was shivering because It was freezing cold. We had to get up really early because we had to do exercise. We slept in the tent for two nights. My group name was called All Stars. Our team Leaders were Khaia and Taimana,they are great leaders. Our teachers were Mr Goodwin and Miss Garden. They were great Leaders as well. On Thursday night we had our Camp Concert. Our song for our group was Billie Jean By Michael Jackson. I think our dance was one of the best. The announcement came for the winner and the winner was Manaaki,Manaaki was another camp group then we listened closely, Mr Jacobson enounced the group in second place and that was us. It was the All Stars. The group that came third was CareTakers. Our second rotation on Thursday was baking . The girls in the All Stars went to the hall foya to bake. We were baking with Mrs Jarman and we baked chocolate chip cookies. We had to get into pairs of two,we had to measure the ingredients and then bake. Baking was so fun. The last thing we got to do at camp was to go to Mangere Pools. Mangere Pools was so fun because we got to go on the slide. The slide was my favourite part of the day. I also liked the deep pool and the normal pool. The other thing that was open at the pool was the bombing pool, I didn't want to go in the bombing pool because it was really deep and I dont know how to bomb properly. I was overjoyed about what Mangere Pools had. I was so unhappy that camp had to end. I just can’t wait for next year’s year five and six camp. Maybe I might become a group leader. At the end of camp we had to clean out our tents. 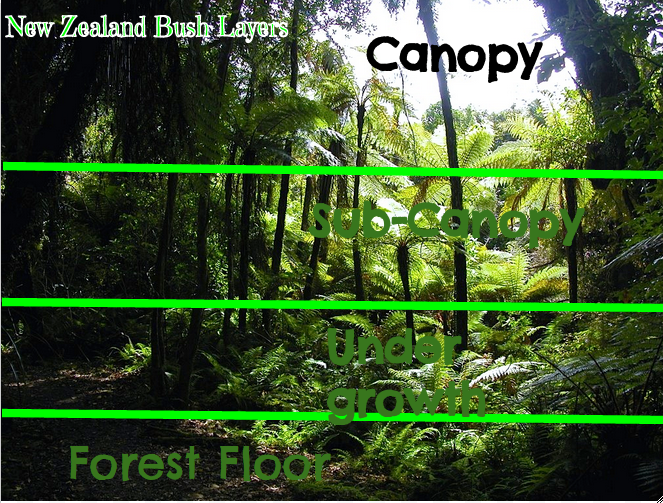 When it is 2015 we will have our year five and six camp as well as the the year six camp at Kawau Island. It was such an awesome experience.I will never forget my first camp at school. 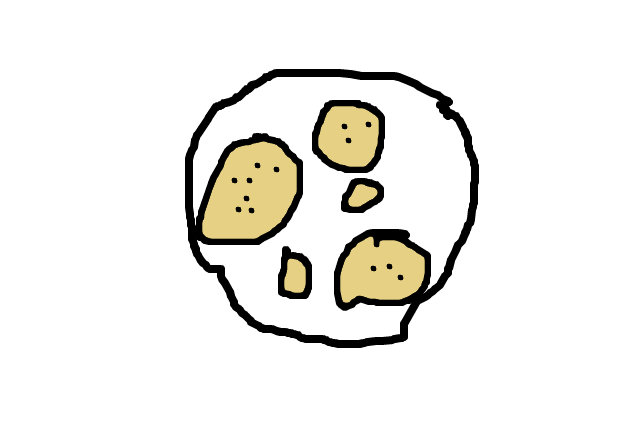 This is a plate of cookies I have drawn. This is what we had for afternoon tea. This is what I have been doing during reading. 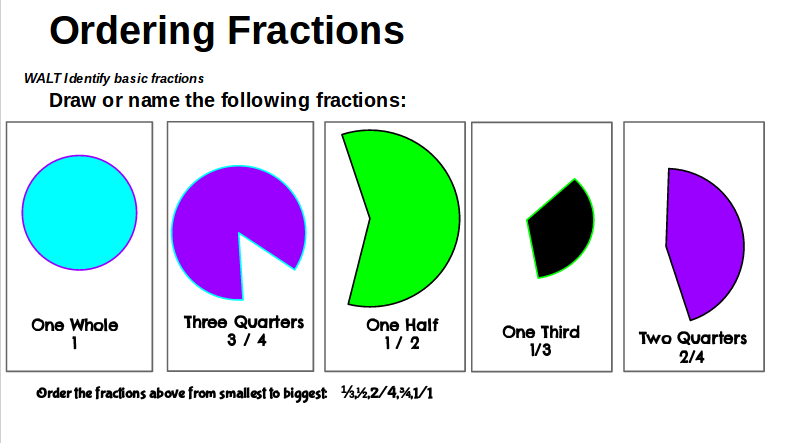 This is what I have been learning during my math time. Do you know that the year five and six students from P.T. England School are going camping this week. We are going to camp on our school field. The year five and six students are going to camp to have fun and to get to know each other. We are camping for two nights and one day,we are camping on Wednesday,Thursday and Friday. I am really looking forward to playing Top Town because I want to go against my teachers team. I am really looking forward to playing Top Town because I want to bust the other teams tower and win. It will be really cool if my team won. I can’t wait to play Get Lost because its like amazing race. I am looking forward to falling over and having fun. Its going to be so fun because you can do it with your friends. Why don’t you play a game of Get Lost. 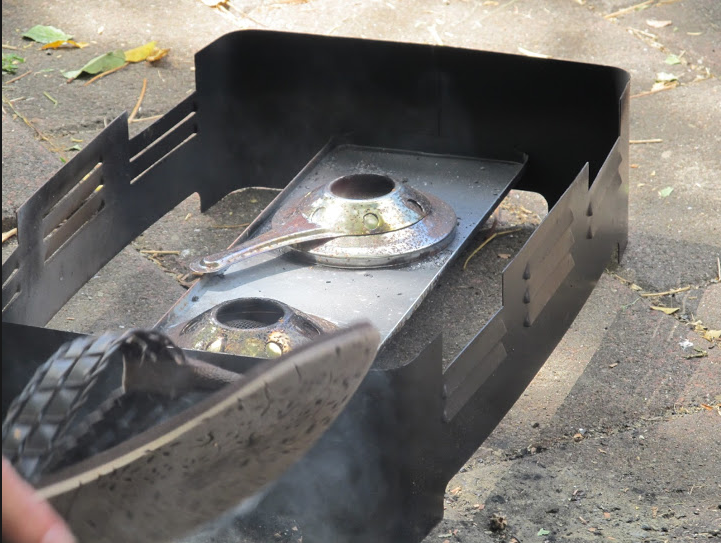 I am also looking forward to camp cooking because we are going to bake tasty treats and have a good time. I can’t wait to eat them. Its going to be so fun. Be sure to visit my blog again so I can tell you more about camp. 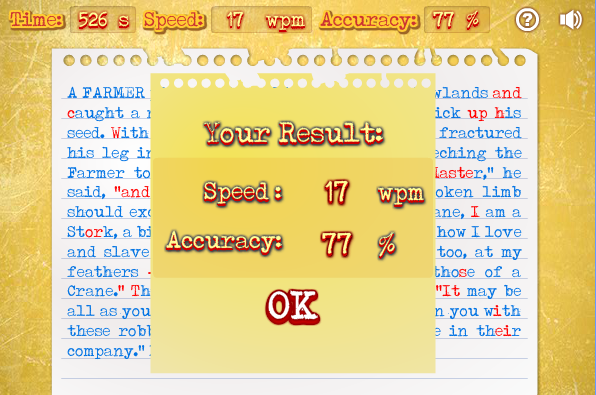 Here is my typing results. I had a few mistakes, but next time I am going to try harder. Next time I dont want to have any mistakes. 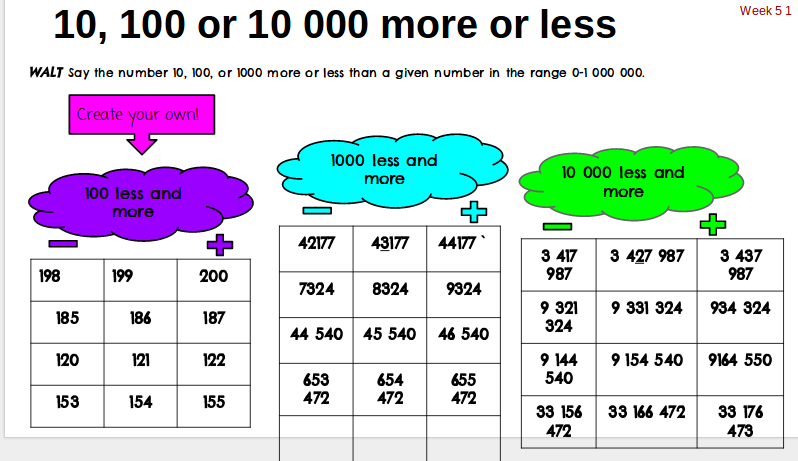 This is what I have been learning about in maths. Do you want to know the stages in a frogs life? The stages of a frogs life is the egg, tadpole, froglet and the last one is an adult frog. 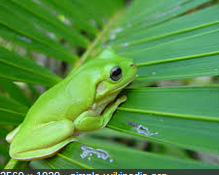 The first stage of a frogs life is a egg. The egg is covered in a sticky like jelly which holds them in a spawn. The sticky jelly protects the egg from predators. Inside the egg is a little black ball. That ball is a tadpole. Once the egg has settled out comes the tadpole. Sometimes the tadpoles get eaten by predators . Tadpoles grow gills to breath under water. When the tadpole is born it has a long tail. When it has grown the tail will disappear. When the gills and tail start to disappear the legs will grow that means that the tadpole is now a froglet. Froglet hides underneath rocks, leaves and flowers so they don’t get eaten by predators. Once they have grown they will be an Adult frog. The froglet is now an Adult frog. Now the frog can breath on land . This is the end of the frogs life cycle. When it finds a mate the frog life cycle will start all over again. This is called metamorphosis.